The Pittsburgh Water and Sewer Authority went from seeing a couple of test request kits a month to thousands after high lead levels were revealed in the tap water of some homes last summer. She sent her request on October 24th following the instructions on the PWSA website and got an automated e-mail back saying her request had been received. “And then there was nothing,” she said. By January 12th, McCullough was getting frustrated, so she sent an e-mail to PWSA asking where her test kit was. She got another automated email and called the number included in it. Carol McCullough finally got her lead testing results in late January, after requesting her test kit in October. She said the man put in another test kit request for her but told her there was a backlog. It might be two months before she received it and another couple of months before she received her result. When asked about this discrepancy, PWSA officials said she may have called the wrong number. The phone number in McCullough’s automated e-mail and the phone number listed on PWSA’s website as the one to call regarding a test kit is the main customer service number. “If they call the general customer service number, like you would call if your line was leaking or you had a billing question, they wouldn't have that data,” PWSA special projects communicator Joey Vallarian said in an interview last week. Dana Leahy, 35, of Morningside tried calling the PWSA lab directly after requesting her test kit in August, and like McCullough, she said the person she spoke to was very nice. Dana Leahy drinks bottled water that she buys at Whole Foods. “I could tell ... that they were overwhelmed they had taken on they bit off more than they could chew with this process,” she said. Leahy said it took about two months to get her test kit. The last time she called, she said the lab tech told her they were streamlining the process by outsourcing it to independent laboratories. 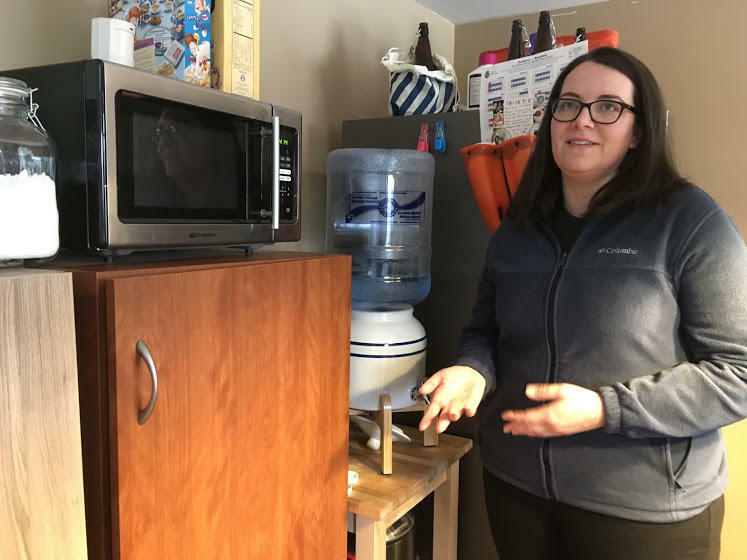 According to PWSA, Leahy was one of 3,000 customers to request a lead test kit in August, the month after the authority notified customers of elevated levels of lead in the tap water of some homes. Acting Chief of Water Quality Gina Cyprych said that was up from an average of about 25 requests a year. Under the old system, when a customer requested a test kit, a PWSA employee would drive it to his or her house, then drive back out and pick it up after the customer had taken the sample. Cyprych acknowledged that, with a flood of requests coming in, some customers fell through the cracks. In September, PWSA announced the new process. 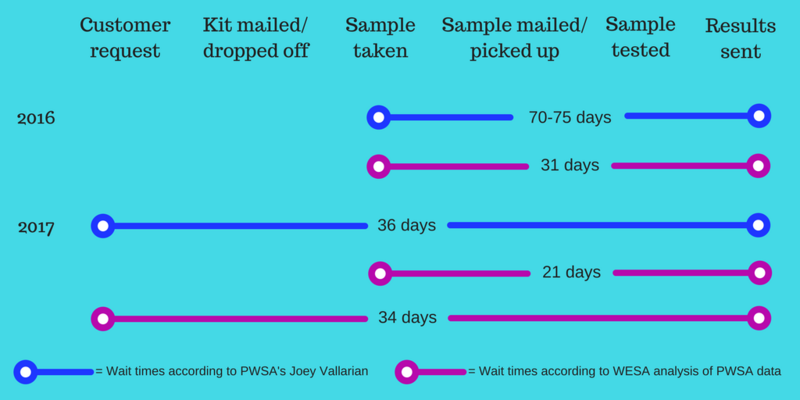 Customers would still request their kits through PWSA, but the rest would be handled by independent labs, which would ship out the kits, analyze the samples and send the results to both customers and PWSA. But as McCullough’s story shows, it didn’t fix the problem right away. And it didn’t immediately address the other issue. Some people still weren’t receiving their tests results in a timely manner and had to contact PWSA multiple times to get them. At a community meeting in early January, Toni Linder, 63, of Stanton Heights asked PWSA why she was still waiting on her results after submitting her initial request for a test kit in August. She eventually received it and submitted her sample in November. Other customers said they didn’t get their results until their City Council representative contacted PWSA on their behalf. PWSA board member and Councilwoman Deb Gross said she did so on behalf of at least a dozen constituents, including Steve Sivak, of Lawrenceville. He said he sent in his sample in September, but by January, was still waiting for his results. 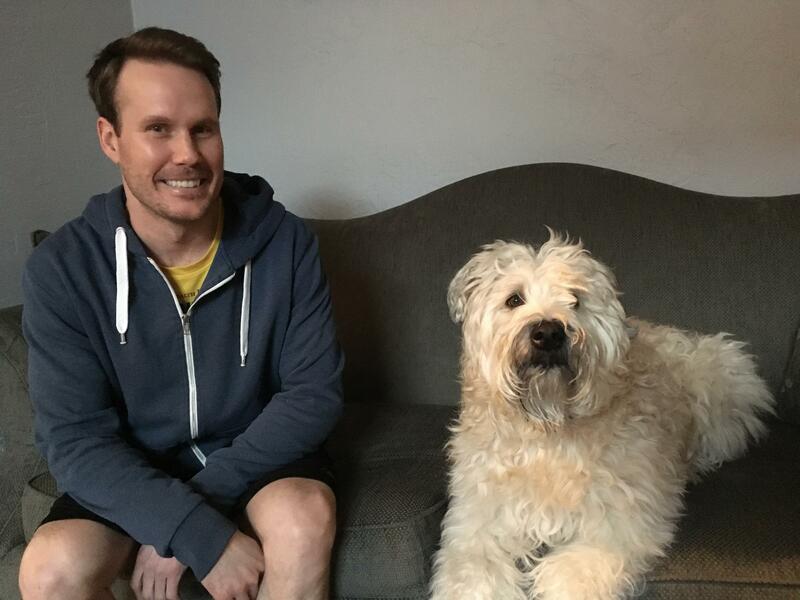 Steve Sivak and his dog, Kimo, at his home in Lawrenceville. 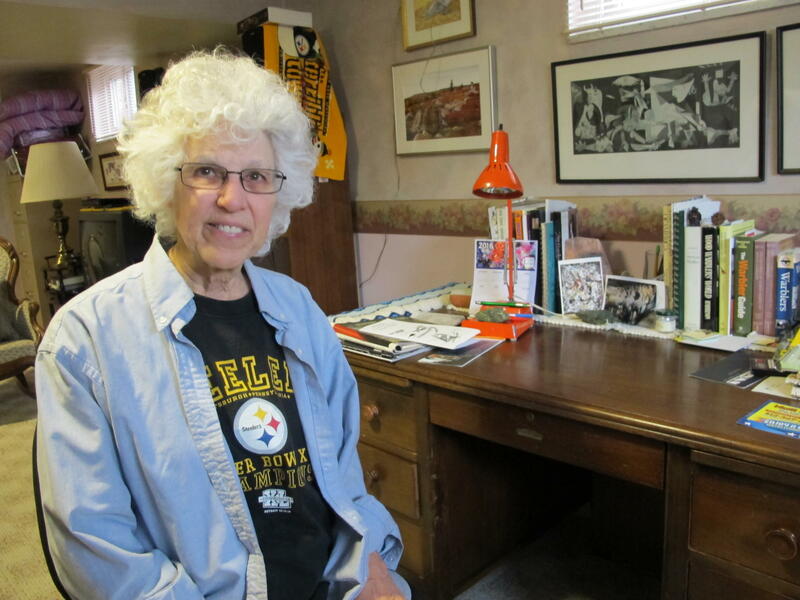 “(Gross) fired off an e-mail to her contacts at PWSA. Within hours, I actually got an email back with my results, and they just said “Well, we fat-fingered an e-mail address or something and didn't send it to you,’” he said. Sivak’s lead levels came back at 17.3 parts per billion, above the Environmental Protection Agency’s action limit of 15 ppb. Sivak, 37, has leukemia, and even before he got his results, his oncologist told him not to drink the water straight from the tap. He now uses a water pitcher with a built-in filter. His dog, Kimo, drinks filtered water, too. Sivak said he was frustrated by PWSA’s lax attitude, not for his own health but for the well-being of children who might be drinking lead-tainted water. “The urgency just doesn't seem to be there,” he said. As it turns out, PWSA didn’t actually know long it was taking them to fulfill customer lead test requests. 90.5 WESA received data (find it here and here) from nearly 3,400 customer lead tests conducted between February 2016 and 2017, with the exception of January, which they couldn't account for. Last year, PWSA officials tracked only the dates the customer took the sample and when they received the result. Vallarian said no data exists showing how long customers waited to get their bottles or to hand them over for testing. The authority also isn't sure how many customers never received a bottle at all. Or whose samples were never picked up. Or who sent their sample in but never got results. PWSA started tracking initial request dates in 2017, but data provided don't show when a customer received the requested kit. Long delays wouldn't necessarily be the fault of PWSA; a customer's testing kit could sit empty on his or her dining room table for weeks. Vallarian said testing turnaround times have improved markedly, from an average 70-75 days in 2016 to 36 days as of March 14. 90.5 WESA's analysis shows PWSA did better than it thought with average turnaround times. But spokesman Joey Vallarian says he's not 100% confident in those numbers, and the data 90.5 WESA received was incomplete and contained errors. But again, PWSA can’t show how long people waited to get those test kits last year. WESA's analysis indicates a less dramatic improvement, with the length of time between the sample and the result decreasing from 31 days in 2016 to 21 days in 2017. Their data are also incomplete. In some cases, PWSA didn’t know the date of sample collection. There were also errors attributed to “typos” by PWSA’s Right to Know Officer, which made it seem like results were received the same day samples were collected. 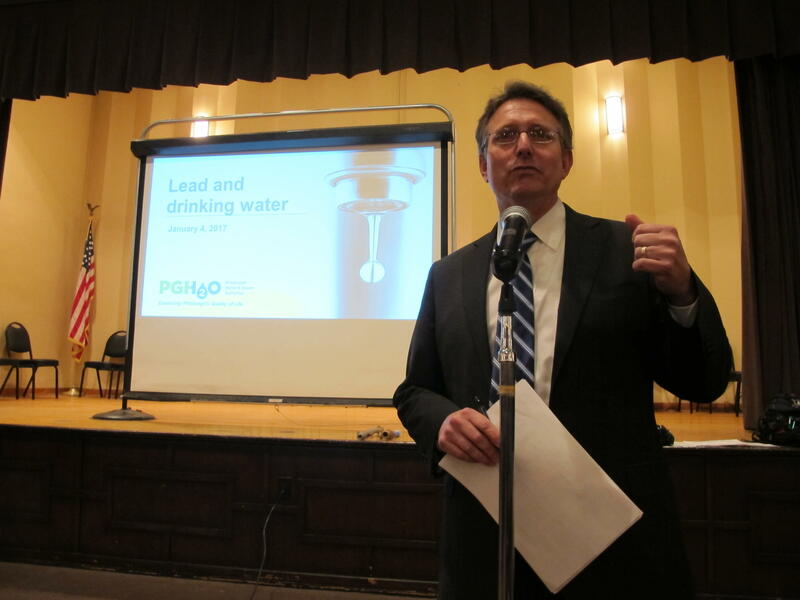 At a January community meeting in Lawrenceville, PWSA Interim Executive Director Bernard Lindstrom apologized to customers for the problems with the lead testing program. PWSA Interim Executive Director Bernard Lindstrom speaks at a community meeting in Lawrenceville on January 4, 2017. On February 2nd, the day after PWSA issued a flush and boil order for 100,000 customers, Lindstrom said the authority’s staffing level was at an all-time low, as was customer morale. Lindstrom’s comments, taken together with stories from customers and the incomplete and sometimes erroneous data kept by PWSA paint a picture of a lead testing program plagued by inefficiencies. Vallarian called that wording disingenuous. Ten percent of lead test results conducted in Flint during the summer of 2015 detected 27 ppb or more. Pittsburgh compliance tests from June 2016 showed 10 percent of customers tested their home water at a comparable of 22 ppb. By December, it was down to 18 ppb. Anything at or above 15 ppb is considered dangerous. Customers who have requested their lead testing kits recently said they’ve gotten them in a timely manner and have received results within a couple of weeks of mailing back their samples. Vallarian said customers who never received their bottles, never had their bottles picked up or haven’t received their results should call PWSA. They would be happy to help. 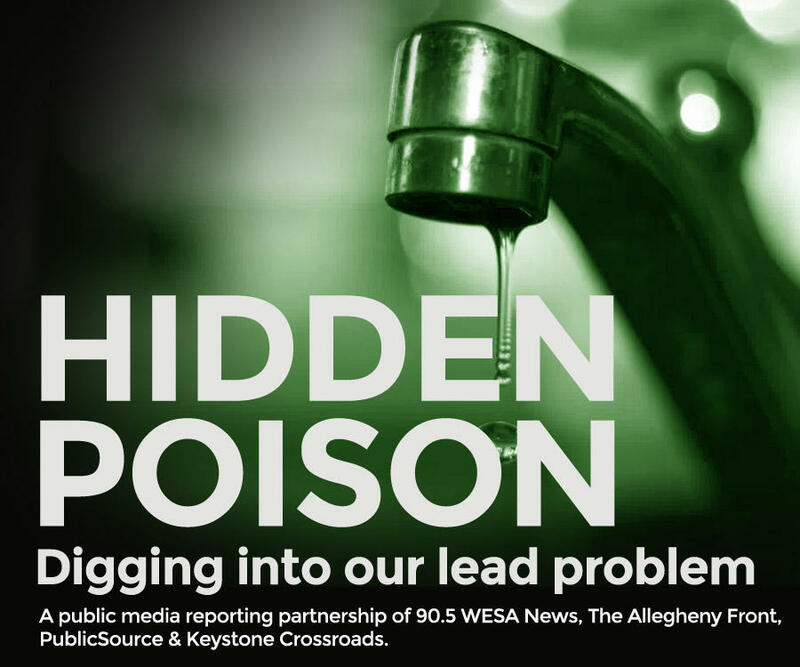 Hidden Poison is a series examining Pittsburgh’s lead problem, reported by public media partners 90.5 WESA News, Allegheny Front, PublicSource, and Keystone Crossroads. Read more at hiddenpoison.org. Pittsburgh City Controller Michael Lamb on Thursday released a draft of the performance audit of the Pittsburgh Water and Sewer Authority Thursday with 53 recommended changes. The audit was concurrent with widespread customer billing and meter problems, issues of lead in drinking water and inconsistent leadership. Pittsburgh Water and Sewer Authority this week announced changes to its protocol for testing customer water samples for lead that could cut wait time for customers in half.